← The Morning Rant- The Angora Rabbit’s Plight. I was out walking with my Ted when I spotted this door. He was not amused that I was impressed with the Poodle over the door! Never mind Ted, maybe next year I’ll find a door with a Wire Fox Terrier over it! Merry Christmas! Happy Holidays! 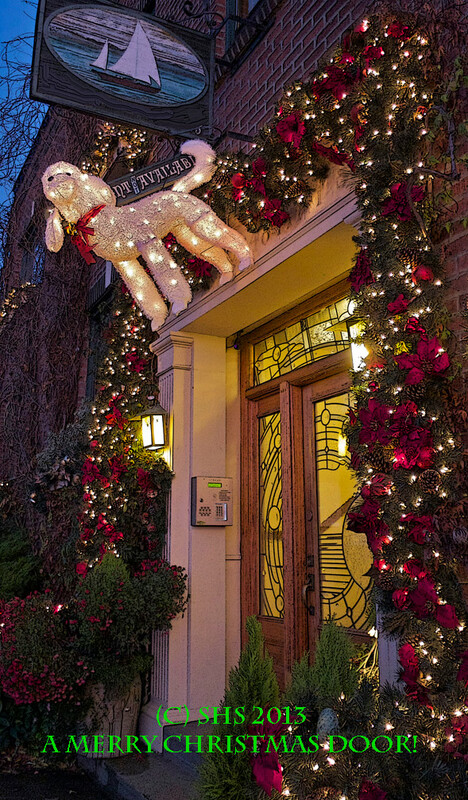 Gallery | This entry was posted in Doors, Memories and musings and tagged Christmas, Christmas and holiday season, Fox Terrier, Holiday greetings, Merry Christmas, New Year, Poodle, Susan Sheldon Nolen's Doors, Wire Fox Terrier. Bookmark the permalink.